Your data on your business computer is some of the most important documents you currently have, especially now that many businesses rely on digital storing of documents and information rather than having physical documents in a real life filing system. Because of this change of how we store and keep information, it is imperative to have some sort of safety net that can ensure all of your business computer data is backed up, saved, and stored somewhere safe that you can access just in case something happens. Whether an employee laptop gets stolen, there is a crash with the server and all of the information becomes lost, your data is hacked into and stolen, or a device happens to get destroyed in an accident, there are applications out there you can utilize right now to keep your data safe. The following are some of the best in the market currently. One of the leaders in data storage and online backup, Carbonite provides everything you need to make sure all of your important documents are backed up safely. You can access all of your data via desktop or a mobile device, all of your files are encrypted, and there is a business version that does continuous backup to make sure every single file is safe. Businesses not only get those benefits, but you can also try out Carbonite Business through a free trial to see if it is the right fit for your company. Another added benefit about the business version of Carbonite is their ability to be flexible on the amount of data you need to backup. It doesn't matter if you're a larger business with terabytes of data that needs to be continuously stored or only need a few gigabytes to be saved as a small business, Carbonite can help you out. Just like the name implies, be ready for any type of crash or information breach with their services. Providing both small, medium, and enterprise level tiers of services to their clients, CrashPlan is another application that you can choose to use. CrashPlan Pro uses cloud services to securely back up all of your information, there is an easy to use desktop application to keep track of all your data, and of course CrashPlan Pro provides continuous backup so you don't have to worry about any of your data being lost forever. Just like Carbonite, you can try out a trial version of CrashPlan Pro to see if their cloud backup services can handle the type of information you need backed up and constantly saved. Also, their desktop application can be accessed anytime, anywhere, no matter what. Unlike Carbonite and CrashPlan which focus both on B2C and B2B data backup services, BackBlaze's niche is all about business and enterprise computer data backup. BackBlaze will backup data from employee laptops and desktop computers alike, no matter if you're running Windows XP or Apple Mac OSX 10.5 and everything else in-between. Also, a very nice benefit of using BackBlaze is their unlimited storage when it comes to backing up your data. You don't have to worry about picking and choosing what can be saved as everything will be included. Then, there is also the feature of having online, offsite data storage. Everything will be saved via the Internet with BackBlaze in an offsite location that is highly secure and protected from crashes, black outs, or other issues that can disrupt your system and make you lose valuable information. With security breaches, third party system hacks, black outs, and failures in the network system, you need to make sure all of your data is truly protected and can be easily brought back online. Fortunately, these three applications can help you backup all of your computer data in a very simple way. 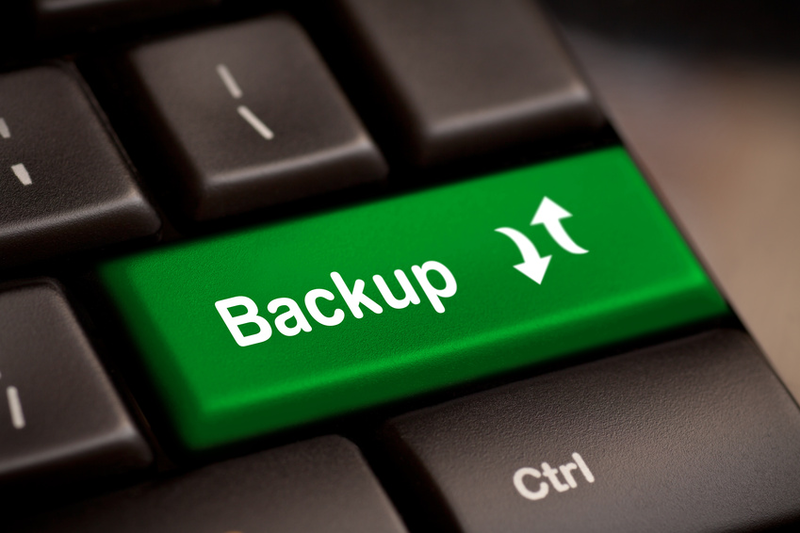 It is just a matter of finding the right fit between your business and a computer backup system. There are no excuses when it comes to unprotected data. Neglecting to have a contingency plan only makes the risk higher if you lose a significant portion of your data, so be prepared for the worst.